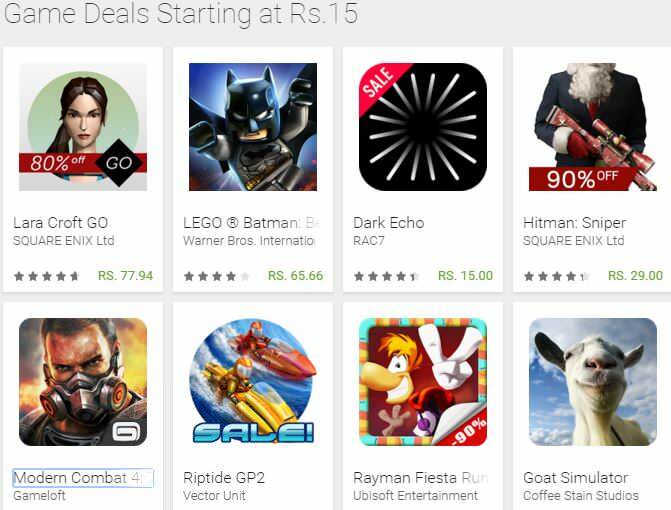 Google has kicked off holiday deals on the Play Store for Android users. As part of the year-end deals, the company is offering discounts of up to 95 percent on popular game titles, and a flat 75 percent discount on movie rentals. These are limited period year-end deals, so make sure to avail them as soon as you can. Talking about the games deals first, Minecraft Story Mode is available for just Rs 6.63, down from Rs 319.61, and the Minecraft Holiday Skin is available for Rs 33.14 (down from Rs 114.02) in Minecraft: Pocket Edition. 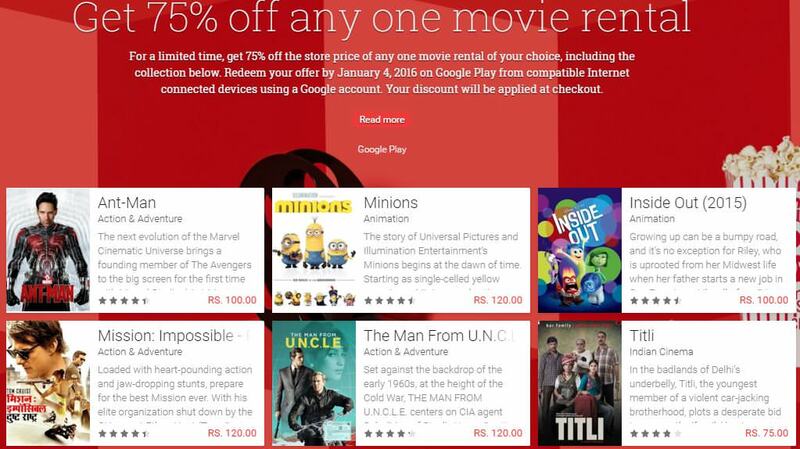 Movie rentals on the Play Store are available with discounts of 75 percent. Popular movie titles like Ant-Man, Minions, Inside Out, Mission: Impossible – Rogue Nation, Star Wars: Return of the Jedi, Frozen, Avengers: Age of Ultron, Titli, Bahubali: The Beginning and Queen are available with discounts under the offer till January 4th 2016.